Ingredion, a food ingredient manufacturer commissioned research to find out which food and drinks products consumers really want. 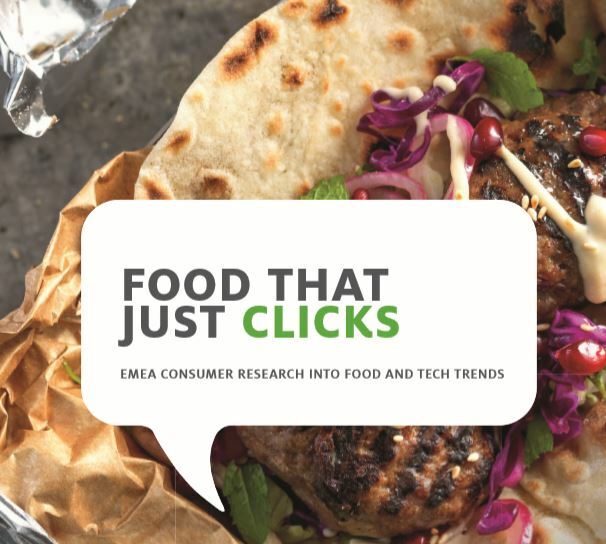 The report is called “Food That Just Clicks”. This article gives a brief summary of key findings and link to the full report. The research was carried out by MMR on behalf of Ingredion in September 2017. These key findings are the average of all the countries surveyed. However, a deep dive into the report itself will show important regional differences. One of their most significant findings is that 48% of is consumers are willing to pay more for a product that they consider is similar but more nutritious than a cheaper product. However, consumers believe that the quality of food products has fallen, with ready-meals having the biggest deterioration in quality. 57% of Germans said Reducing Packaging Waste was the area that food manufacturers should focus on most, while only 27% of Polish respondents felt this should be the top priority. Instead, 58% of Polish respondents said that Reducing Undesirable Ingredients should be the top priority. Obviously, this will have implications for the information contained and highlighted on the packaging created for each country. Where do Consumers Want to See More Information? If you are considering a new carton design or revamp, the following image may be of interest. 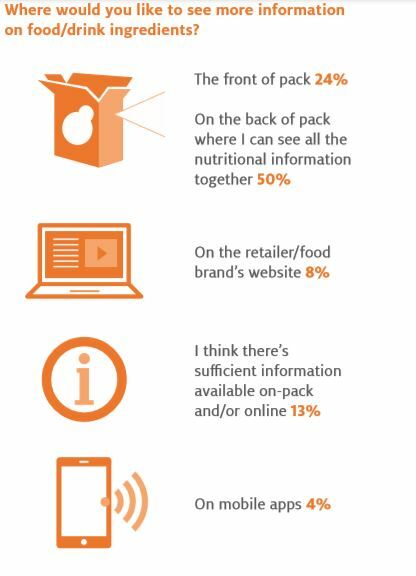 It shows that 50% of consumers want to see the extra information on the back of the pack, (despite the fact that so much information is available online.) (* In the UK, consumers wanted the extra information on the front of the pack).